Profound is an FDA-approved radiofrequency device that we use for tightening and lifting skin of the face & neck. The device works by stimulating your body to create more hyaluronic acid and to boost natural collagen & elastin production. Profound is an excellent option for people who are noticing mild to moderate laxity of the lower face & neck! The most common improvement our patients see with this procedure is in their facial volume. It would be best suited for someone who wants a single treatment session for addressing early signs of aging skin & avoiding facelift surgery. Best of all, only one treatment is needed! Am I a good candidate for Profound? If you are interested in Profound, the first step is to see one of our board-certified physicians for a consultation. They will be able to tell you whether or not you would benefit from this treatment. However, many people are considered good candidates for treatment. What is Profound treatment like? 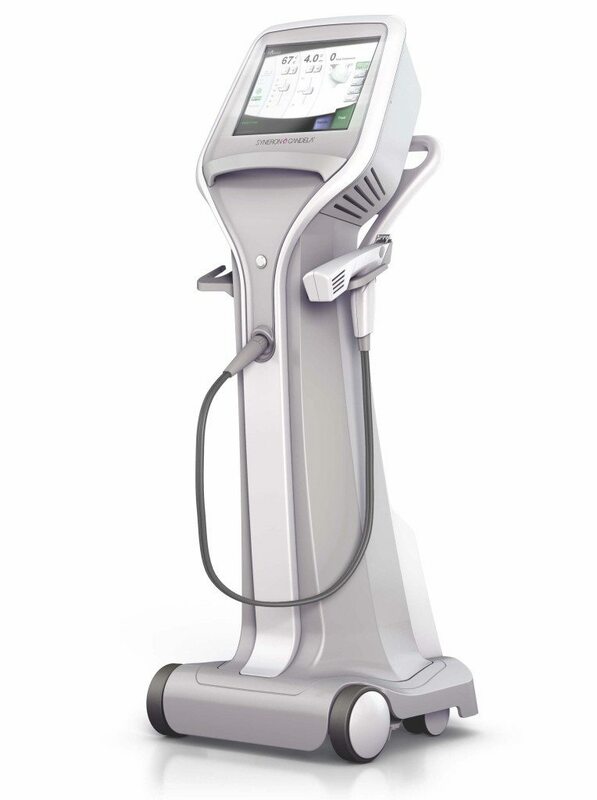 Profound is a radiofrequency procedure; the energy is delivered to the skin via a hand piece & cartridge. The cartridge is fitted with a series of tiny needles that penetrate the skin in order to deliver energy at the depth needed to stimulate “remodeling”. We’ll start by marking the treatment zones on your skin and then numbing these areas. At this point, your procedure will begin! The doctor will position the hand piece and cartridge against your skin and then deploy & retract the needles to deliver the energy. This will be repeated until all pre-determined areas are covered. Depending on the size of the treatment zones, Profound can take from 30 minutes to 1 hour, start to finish. Finally, topical products will be applied to protect your skin and you will be given after care instructions. What are the side effects of Profound? Any downtime? Side effects & downtime with the Profound procedure are moderate. Most patients experience redness, swelling & bruising that resolves over the course of about 7 to 10 days. Social downtime is likely to be around 3 to 5 days due to the potential swelling or bruising you could experience. If bruising occurs after Profound, we can use a vascular laser (free of charge) in order to make them disappear faster. There are few limitations post-treatment, but we will discuss this in detail with you at the time of your consultation. When will I see results from Profound? How long will they last? Some results may be seen approximately 1 to 2 weeks after treatment, after swelling and/or bruising has subsided. However, results can take 4 to 6 months following the procedure to be fully appreciated as your body continues to produce new collagen, elastin & hyaluronic acid. Although it’s impossible to stop your skin from aging completely, you should continue to have noticeable improvement for several years post-treatment. We will consider factors such as degree of sun damage and extent of skin aging when determining whether or not Profound is right for you.